I am in a somewhat somber mood. It is Memorial Day as I write this and all over the media, social and otherwise, the nation and individuals are recalling the fallen. 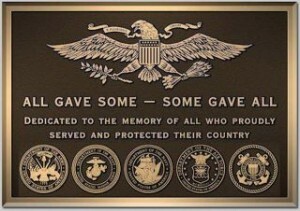 I am glad to see how many of us are recognizing the great sacrifice our military has made throughout our history. For those who serve, and their families, the war never ends. As a librarian, I always look for events that can be used to help our students make deeper connections and learn as they do so. In this case, I am thinking less of those who gave their lives and more about those who have returned wounded in mind and body. I have just completed a “Research to Go” activity on World War I which you will see in the August/September 2014 issue of School Librarian’s Workshop. Begun one hundred years ago, “The War to End All Wars” proved we have no end to wars. Then, and in the subsequent wars since, soldiers have suffered from what was called “shell shock” at the time, “battle fatigue” in World War II, and is now better identified as post-traumatic stress syndrome. Additionally, as a result of IEDs (improvised explosive devices) veterans of Iraq and Afghanistan are dealing with more loss of limbs than in previous wars. I am recounting this because I think it important for students to become good citizens and consider community service as part of their growth. 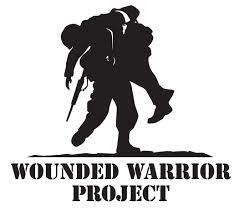 The Wounded Warrior Project has several ways students can participate from raising money to writing letters. If your students are old enough to become involved and your school offers no impediment to do so, consider promoting it in your library. 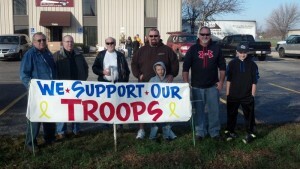 Research other places which could use the support of students either locally or nationally including Kids In Support of Soliers. Work with kids who want to take a leadership role in this. Make this Memorial Day mean more than a three-day weekend.